Also today: Study says Americans and Chinese have neglected the environment; Thailand’s stocks pummelled over domestic politics and regional woes; Ford set to get back on the road to profitability; Toyota pulls eight models out of US car market; Bank of England governor mulls Obama’s trading remedies. Sweden’s Saab was pretty much assigned to the scrap heap after General Motors couldn’t find a buyer for the niche car maker. Now it’s being sold to a small Dutch manufacturer of high-end sports cars for $74 million in cash, and $326 million in preferred shares in a new Saab-Spyker combination. Saab has always had loyal supporters, who love its styling (including open-top coupes) and the perception that it’s as safe and technologically-sound as you can get. But GM wasn’t seen as the right manufacturer to keep the gloss on Saab’s brand, and when global car markets rode far south after late 2008, the marque became a millstone for the bankrupt US car giant. The news will have been received with joy in Sweden, and by Saab aficionados around the world. It’s a long road back to health, though, as Saab sales plunged to 39,903 units in 2009, from 94,751 vehicles in 2008. It’s also a strange marriage, as Spyker only sells 30 to 50 custom-made cars a year, costing in the region of $250,000 each. 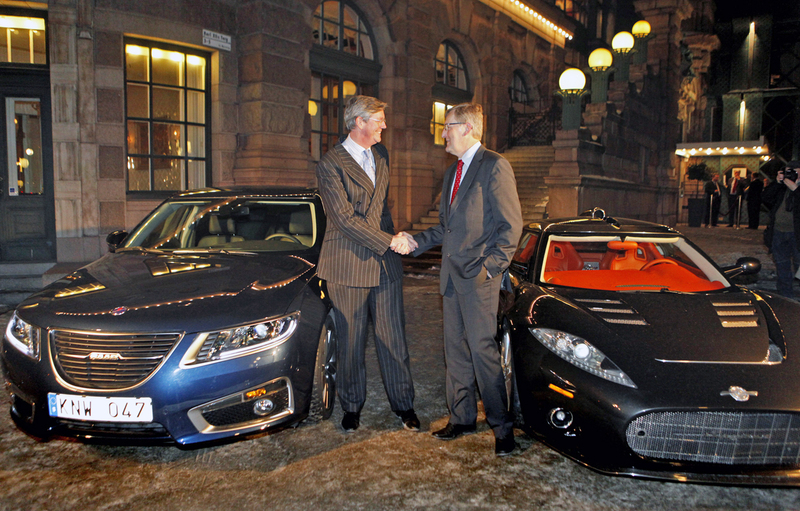 And Saab has nearly 4,000 workers to Spyker’s 110. Some countries are just lucky when it comes to their environmental credentials. Tiny Iceland’s one of them, and now its bankrupt, it likely to send out even less emissions per capita than anybody else. But contrasting this, the latest Environmental Performance Index compiled every two years by Yale and Columbia University, shows the US and China choking in the pollution ratings. And this is not the only global rating that comes to this conclusion. Germanwatch, a think-tank, and Climate Action Network agree. Iceland made tons of money by being a virtual broker, so its green profile was never going to really slip. It’s blessed with geo-thermal and hydro-thermal energy, and is light on industry other than fishing, unlike the Americans and Chinese, who spend a lot of money on coal. In the previous version of the EPI, the US came in 39th, but now has plunged to 61st. China was at 105th and now is 121st. The researchers say countries that take the environment seriously improve, and those that don’t deteriorate, adding that the two industrial big hitters haven’t kept their eyes on environmental policy-making. That will be yet another headache for President Barack Obama, as he seeks to unwind the excesses of the George W. Bush years. Bush was kind to polluters, and the Chinese are just going for growth, building two large coal-fired power stations a week. The index assigns each country a score based on preservation of habitat, greenhouse gas reductions, air pollution and waste. At least the Icelanders can take heart that they live in a broken country with clean lungs. Thailand’s stock exchange is showing that Asia is not rushing out of recession just yet, whatever the other figures say. Investors have been asked to stay calm after the nation’s benchmark index slid nearly 7% over seven-days, reacting to local political upheavals and drops in Asian markets. The slide is the worst in more than five years, and exceeds the 5.8% fall in the MSCI Asia Pacific Index over the same period. The fact that a drop of this magnitude comes some 15 months after the panic of October 2008, led Stock Exchange of Thailand President, Patareeya Benjapolchai, to say that some stocks are now very attractive because of their high dividend yields. Investors likely won’t be gulled into buying the market quite so easily, as supporters of former Prime Minister Thaksin Shinawatra attempt to topple the government of Abhisit Vejjajiva. Overseas investors are selling the exchange. Everybody will be watching to see if and when they come back. Analysts say Ford could report net income of $2.65 billion in 2009, after avoiding bankruptcy and seeing off the worst US car market in 27 years. The company refused a federal bailout, so investors might again start to look kindly on the iconic American manufacturer. Chief Executive Officer Alan Mulally flew over from Boeing in late 2006, and has been working on developing new models such as the Fusion hybrid and cutting the company’s North American workforce by nearly 50%. If Ford hits earnings projections, that will end three straight years of losses totalling some $30 billion, including a record hit of $14.7 billion in 2008. The company still made a billion dollar operating loss, but 2009 net income was boosted by a $2.8 billion second-quarter accounting gain. Bet bankrupt General Motors and Chrysler wish they were doing so smartly, after the Great Recession saw US car sales sink to their lowest levels since 1982. Toyota has stopped selling eight models of its vehicles in the US market because of faulty accelerators, accounting for more than half its American sales. It’s the biggest disruption of car sales ever in that market, and will halt production for at least a week at seven North American plants. Earlier the world’s largest car maker announced the recall of 2.3 million vehicles that potentially have the accelerator problem, denting its reputation for quality and threatening its 17% of the US market. Some 19 road users have been killed in accidents involving Toyotas with alleged design flaws. The current recall and an earlier one involving floor mats has seen the Japanese manufacturer call back 4.8 million vehicles to prevent sudden uncontrolled acceleration. It still can’t say why this is happening, and has instructed drivers on how to stop their vehicles if the pedals get stuck. That’s not going to bode well for future sales. The governor of the Bank of England says he supports the idea that big banks should separate their proprietary trading activities from their core business of deposit-taking. That’s what President Barack Obama is busy legislating after US bankers appeared less than contrite over their role in the market crash of October 2008. The Old Lady of Threadneedle Street’s boss, Mervyn King, is fending off public outrage over huge banking profits and bonuses on both sides of the pond, and is feeling the heat from a growing body of opinion that says big banks must separate their trading and investment banking businesses from their retail operations. While King has imposed heavy taxes on banker bonuses, Obama has gone even further, saying that large banks that collect customer deposits should be banned from proprietary trading activities completely. In the run-up to the global economic crisis precipitated by US sub-prime mortgage lending, US and big foreign banks were seen to use their own money to bet against financial products that they sold to customers. How greaseball is that!